Cook and enjoy more time with your family! Join our Delivery Club - We'll assemble and deliver your meals to your house!! We have received many requests for Gluten-Free meals through the years. 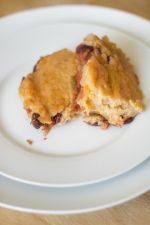 Although we are not a Gluten-Free facility, we have found that nearly half of our recipes contain either all gluten-free ingredients, or require only minor substitutions to make them that way. Notice our Menus and the GF indications. We also now have gluten free pasta available. Tender bay scallops and mushrooms sauteed with butter, olive oil, garlic, and a white wine sauce to serve over linguine that will be included. An easy and delicious dinner that will be in the table in minutes. It will be packaged in a plastic bag. - Gluten Free with substitutions. This dish starts with six chicken breasts with mushrooms, onions, garlic, and then is topped with a decadent sour cream sauce. Your family will be asking for seconds, and you'll love how fast this was to prepare. - Gluten Free. ALOHA! Our sweet and tender pork roast will simmer the day away in your warm and tropical slow cooker. When you come home to your personal luau, you simply heat-up the sweet pineapple sauce and serve. Don't miss this one! It will be packaged in a plastic bag. - Gluten Free & AlaskaFit approved meal. Back by popular demand! This dish is a perfect breakfast for house-guests or a lazy Saturday morning. 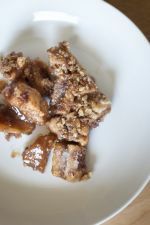 The caramel glaze is ooey-gooey good, and the pecans add a delightful crunch...bubble bread never tasted so wonderful! It will be packaged in a 9x13 pan. Kung Pow is more like it! This spicy little number is packed with flavor and is simply delicious. You have control over how much red pepper goes in so you can make it super-kid friendly with only a hint of red pepper or hot enough to give it some real kick. You decide. It will include rice and be packaged in a plastic bag. - Gluten Free with substitutions & AlaskaFit approved meal. You start out with tender, delicious steaks from Mr. Prime Beef, then you'll make a sassy tomato-cream based sauce to go over them. A wonderful dish to celebrate a good grade on a test or a quiet night in with your family. This will be packaged in a plastic bag. - Gluten Free with substitutions. 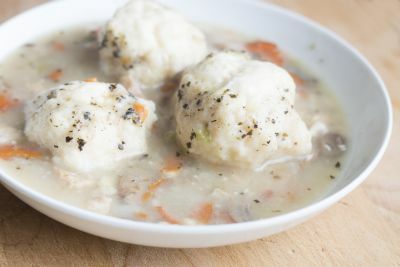 Just like Mom used to make.....chicken, dumplings, onion, celery, mushrooms, carrots, herbs and seasonings are a one-dish meal that will bring back memories. It cooks up easily on your stovetop and will be packaged in a plastic bag. Take our wonderful puff pastry, a homemade apple filling that you make in our store, and a delicious crumb topping and you have our wonderful Apple Crumble Pastry. A perfect dessert to serve with some ice cream on top. Your guests and family will think you worked hours to make this beautiful dish. This will be packaged in a 9x13 pan. Everyone LOVES these and can't get enough! Puff pastry wrapped around ground beef, potatoes, carrots, celery, onion, gravy, and seasonings. Your kids will love the novelty of the pocket and you will love all the veggies and ease of preparation. They will be packaged in foil and a plastic bag. Super simple - this one is the best of all worlds! You will be amazed how easy it is when you just heat it up in a skillet on your stove. This spicy little number includes ground beef, pasta, tomatoes, black beans, cheese and spices. It doesn't get better than that. It will be packaged in a plastic bag. - Gluten Free with substitutions. 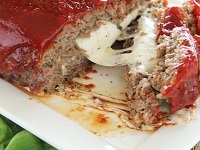 A meatloaf the whole family will love. Watch your kids' faces light up when they discover melted cheese inside! It will be packaged in a 9x13 pan. - Gluten Free with substitutions. This classic chicken dish is fast and delicious for any night of the week. 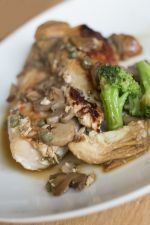 Lightly floured chicken breasts are combined with mushrooms and creamy marsala wine sauce. It will be packaged in a plastic bag. - Gluten Free with substitutions. Our succulent corn chowder will warm up those empty tummies in our crazy spring weather. Corn, potatoes, veggies and spices in a cream sauce brings it all together! It will be packaged in a plastic bag. - Gluten Free. 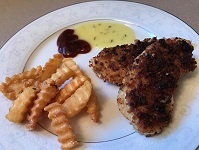 We start with white meat chicken tenders that marinade in a tangy honey mustard sauce. You’ll dip these in our crunchy, seasoned pretzel mixture and cook them in 15 minutes. The whole family is gonna love them! Chicken Divan...no, Chicken Divine! 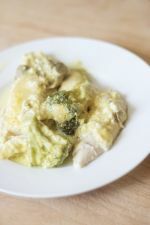 Boneless, skinless chicken bake in a 9x13 pan with broccoli, mushrooms, and a thick cheesy-creamy sauce. This is the way to get your kids to eat their veggies. - Gluten Free with substitutions. Rotini with delicious sauce, oodles of cheese, and reindeer sausage will warm you up a chilly day. Fantastico! It will be packaged in a plastic bag. Lemon-y, garlic-y chicken breasts sautéed with artichokes, mushrooms, capers, and seasonings. It is just plain tasty, but just a warning - it is a little bit more of a grown-up flavor. We suggest you serve it with steamed veggies and rice pilaf - what a nice meal to share with guests. It will be packaged in a plastic bag. - Gluten Free. 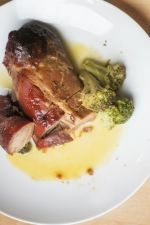 Sweetened with a honey-orange glaze, and seasoned with the perfect mix of spices - this pork loin is just plain yummy. This dish would make a nice Sunday dinner for your family. It is easy to cook on the grill or in the oven. It will be packaged in a plastic bag and include a vegetable. - Gluten Free. Do you want fries with that? Just kidding, but this soup is that good! The name says it all - it is a cheesy soup that tastes like a cheeseburger....we even suggest that you serve it with chopped pickles on top. Your kids will gobble this one up. It will be packaged in a plastic bag. - Gluten Free. Berry-delicious dessert! 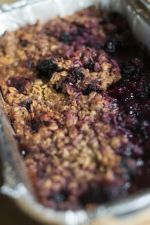 A wonderful blend of raspberries, blueberries, and blackberries topped with pecans and an oat crisp. It will be packaged in a 9x13 pan. - Gluten Free with substitutions. We started off thinking of Shepard's Pie, but that was just too everyday. So, we turned it into a fiesta! Ground beef, kidney beans, veggies, and seasonings with a blanket of mashed potatoes mixed with cheese and chili powder. Ole! It will be packaged in a 9x13 pan. - Gluten Free. These buffalo do not have wings, but they do have all the sensational flavors you love in a good wing. 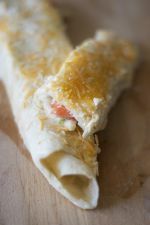 Chicken with celery and carrots and sauce rolled up in tortillas and drenched with a zippy ranch-flavored sour cream concoction and smothered in cheese. Who wouldn't love that? It will be packaged in a 9x13 pan. We start with beef strips and mix them up with broccoli and carrots. Then we drench all that with a tangy, teriyaki-ginger sauce and toss it with cooked pasta. 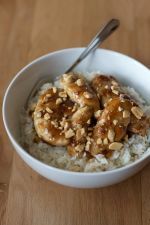 This easy, Asian-inspired dish is sure to please. It will be packaged in a plastic bag. - Gluten Free with substitutions. Beef roast with celery, onions, and seasonings cook in a homemade barbecue sauce in your slow cooker. When you come home at night the aroma of dinner will greet you! It will be packaged in a plastic bag. - Gluten Free. 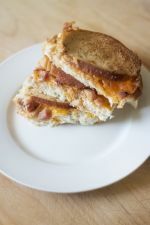 Ham and cheddar sammies baked in a savory egg mixture makes this an easy, fun breakfast! We start with a classic meatloaf consisting of ground beef, diced onion, breadcrumbs, Worcestershire sauce, and seasonings. Then you'll top if with a tangy sauce that will keep your family going back for more! 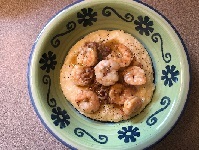 It will be packaged in a 9x13 pan.-	- Gluten Free with substitutions.